Generally, in an automobile accident case, fault must be proven in order to establish an accountable party who’d be held fiscally responsible for damages. Nevertheless, in some situations, error is presumed and the defendant will not need the exact same burden of proof. This is assumed negligence, or negligence per se. Neglect per se, to put it simply, is presumed neglect because a law or statute was broken. What this means is that the act that caused harm will not require evidence to demonstrate that a reasonable person would have behaved otherwise in the same situation. Nor does it have to be established that the person at fault owed a duty of care to the individual who was injured. 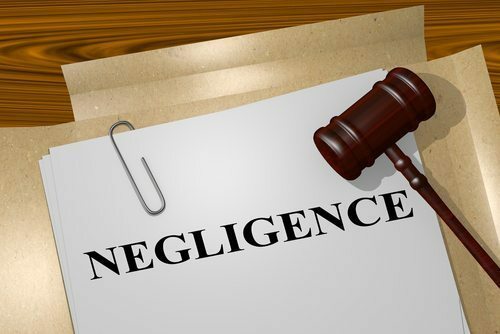 In negligence per se cases, where law or a statute has been broken and someone was injured because of this, neglect can be automatically presumed. The most common kinds of neglect per se cases are those where a law certainly has been broken. For instance, when a person who has been drinking and driving causes an injury, they can be considered negligent and at fault for the crash. While negligence per se or assumed negligence can be present in any type of personal injury case, they’re more frequently seen in car accident cases, only because many are brought on by negligent motorists breaking the laws. Individuals who have been injured in a car crash caused by assumed negligence are likely eligible to be compensated for damages they suffered as a result of the accident. This includes lost wages, medical bills, and pain and suffering. Don’t wait to get the legal help you need if someone else caused a crash that hurt you or a family member. At Appalachian Injury Law, we can help. Call us today for a consultation at (706) 515-1995 or toll free at (800) 393-8595. You can trust us for compassionate and zealous representation after an injury.